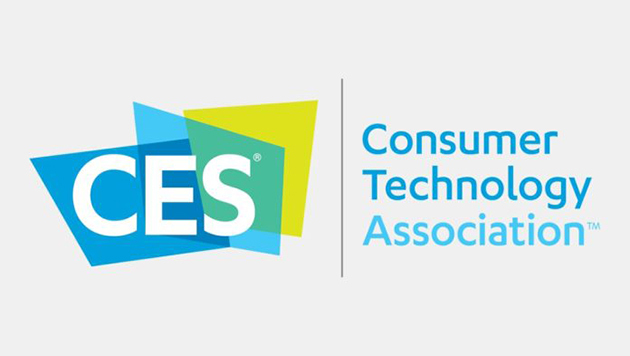 We take a look at some of the key TV tech announcements from CES 2019. For our less tech-obsessed readers, CES (short for Consumer Electronics Show) is one of the biggest and most exciting technology conventions in the world, hosted in fabulous Las Vegas, playing host to brands from all over the world showcasing everything from TVs, mobile phones washing machines and even driverless cars! 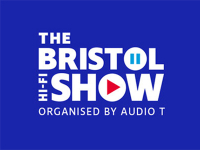 It’s an event that allows manufacturers to show off their feathers and wow the world with what’s possible, and whilst some of it might never be available for us to buy, it’s an interesting glimpse into the areas that tech is going. CES has in the past been criticised for showcasing underwhelming products with a lack of real advancements in recent years, but I’m happy to report that certainly isn’t the case this year, with more exciting developments than ever and a strong emphasis on what we as the consumer can expect. It shaped up to be one of the best-ever CES events and I’ve compiled a list of my favourite tech so far! The obvious show stealer this year is LG’s incredible foldable OLED R television… thats right, foldable! Foldable screens have been around for some time, usually taking shape as either phones or tablets, but are often greeted with scepticism due to, well, being pretty useless. I mean, why would you need to fold your phone? 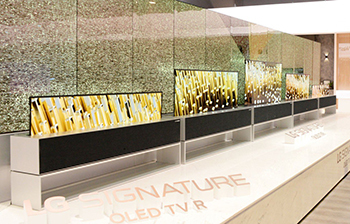 LG have long being the pioneers of such technology – the introduction of OLED screens has made this technology possible, but this is the first time we have seen it in a more functional light, with a screen that’s able to be rolled up (hence the ‘R’) and hidden away. The set itself is housed in a large and quite attractive box that doubles up as a speaker and at the touch of the a button (or voice command I imagine), the screen begins to roll upwards from the box showcasing a beautiful 4K OLED display, reminiscent of those old televisions that used to come up from the end of a bed frame that only the super-rich would have in the early 2000’s. As it stands the set has 3 modes, the full 65” display “Full view”, a completely folded away “No view”, and something LG are calling “Line view” whereby the set displays a quarter of the panel and certain apps such as weather, photos and music. 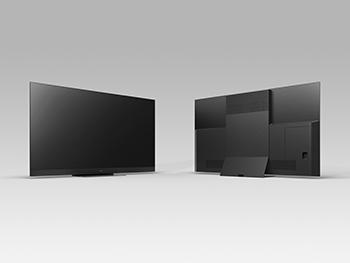 LG promise these sets will begin shipping this year to “selected buyers” but don’t expect to see them in your local store any time soon – maybe next year though. Keeping with the LG theme we have what some reviewers are calling the best image they have ever seen; LG’s 77-inch 8K OLED screen. Starting with the existing 4K images, 8K technology is then used to multiply the information resulting in a higher resolution image with more detail than ever before. 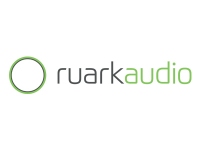 Using the latest HDMI 2.1 technology and eARC (Enhanced Audio Return Channel – which allows you to send higher-quality audio from your TV to a soundbar or AV receiver), this 8K OLED promises completely uncompressed Dolby Atmos sound too. 8K is very much still the buzz word this year with many brands featuring 8K sets, and it’s been great to see even the small manufacturers pushing the boundaries of what’s possible in 2019. 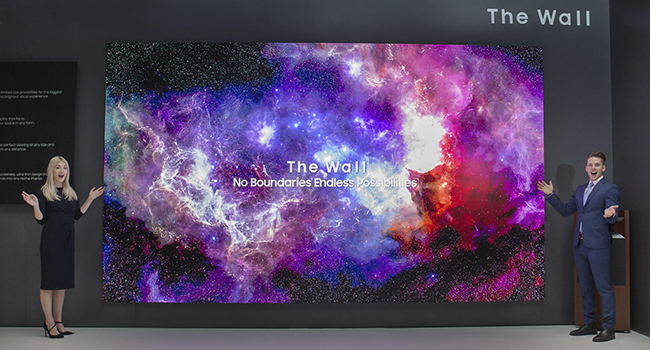 Moving from LG to Samsung, they very proudly displayed ‘The Wall’ – a modular “micro LED” set that was first featured at CES 2018. Samsung have redefined the technology that uses a similar theory to OLED and promises a brighter, more colourful experience. The Wall is designed to be grown or added to a modular television, meaning the user can adjust the panel size or even the aspect ration depending on their viewing habits. Samsung also featured a 75-inch model on its own display hinting there may be a consumer model available very soon (for those of us with very deep pockets I imagine!). 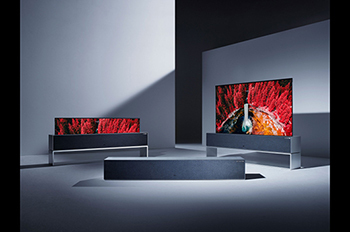 Panasonic have released their 2019 flagship OLED; the GZ2000. Taking inspiration from previous years with the adaptation of HDR10+ as well as Dolby Vision, Panasonic are covering all bases and claiming a 30% increase in picture quality from previous years. Continuing to work closely with Hollywood studios, Panasonic promise their picture isn’t going to be the only talking point, the sound quality of the GZ2000 looks very promising on paper featuring built-in Dolby Atmos. It’s going to be a very interesting product this year, Panasonic have also teased that this may not be the most exciting product this year, hinting at some more lower models featuring some new tech! We will have to wait until February before we hear anything else! So there we have a very brief summary of a few highlights to expect from TV tech this year. As always we will see new technology trickling though for the next few months so stay tuned and we will do our best to keep you updated!